I'm back today with a new and exciting Glam polish collection : Broadway. A nine piece set made of heavy mixes of micas, glitters, shimmers, pigments and holo. Formula an application were just flawless on the entire collection. I used 2 coats plus topcoat in all of my swatches but the darker colors were almost good to go with just one. 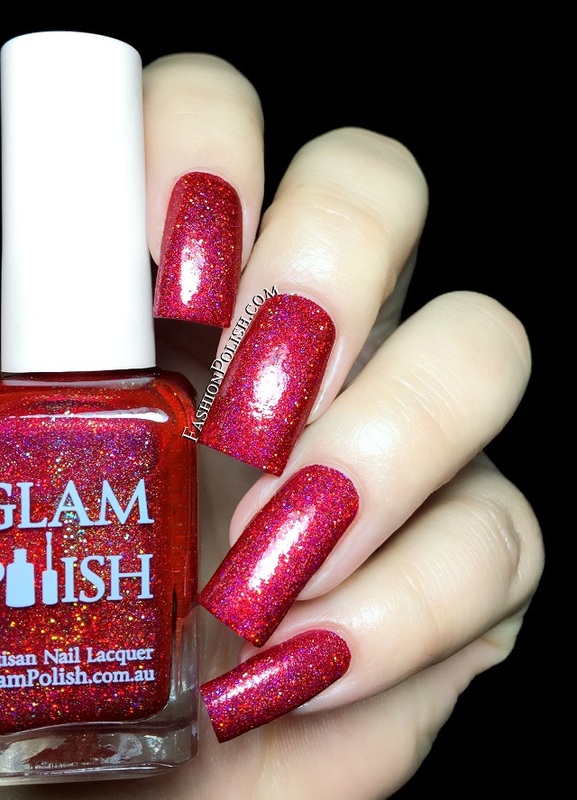 You Can't Stop the Beat is a bright red holo packed with gold holographic micro glitters. Dancing Through Life is a mauve pink with a strong gold flash as well as gold shimmers, a subtle pink/apricot/gold color shifting effect. You and Me (But Mostly Me) is a yellow gold holo with gold holographic micro glitters. 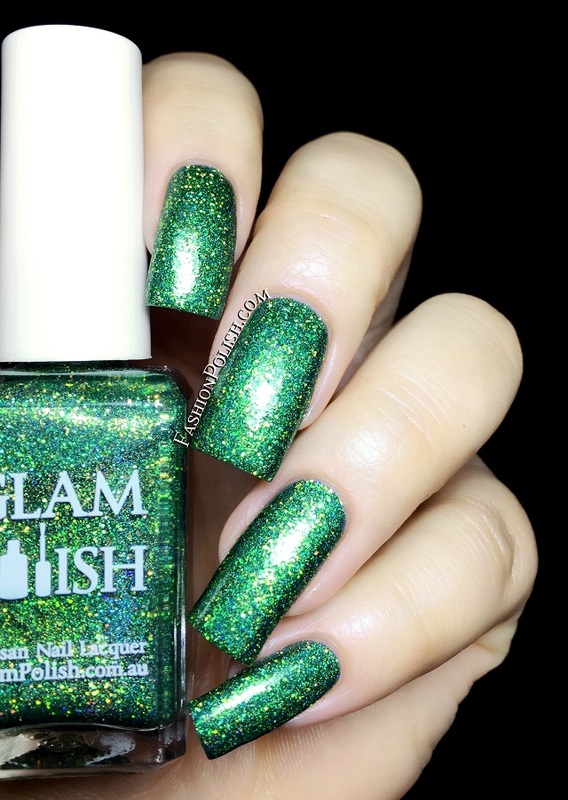 Somewhere that's Green is an emerald green holo packed with gold holographic micro glitters. Fantasies Come True is a royal purple holo with icy silver and bright pink / purple sparkles. 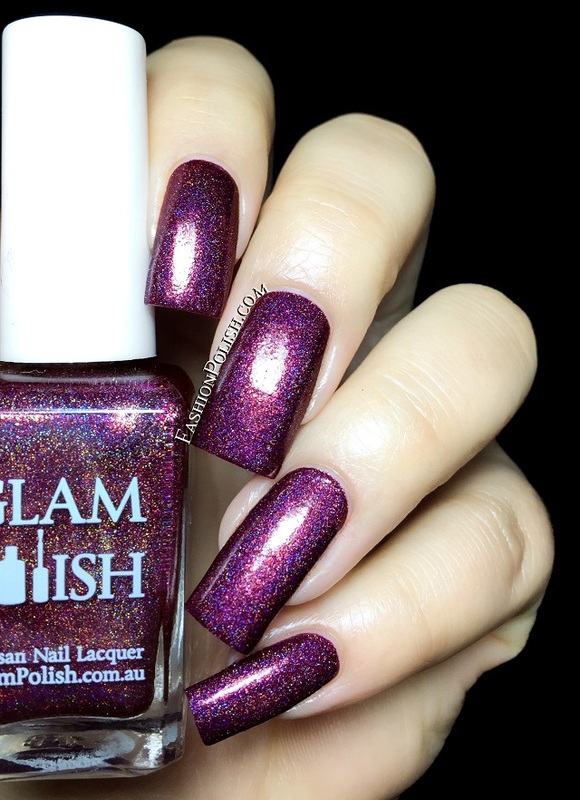 Dreamgirls is a pink based purple holo with a mix of gold shimmer, gold hologrphic micro glitters and red sparkles. 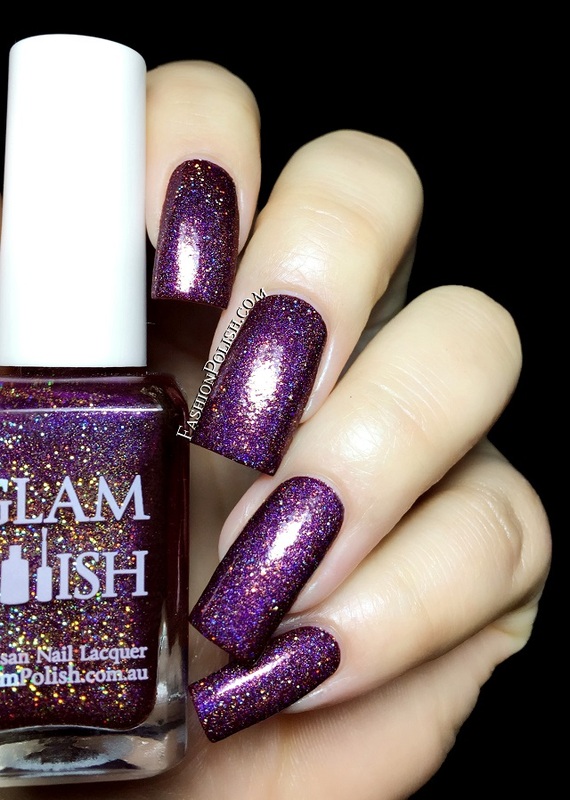 Defying Gravity is a plum purple holo with a red and gold shimmers. 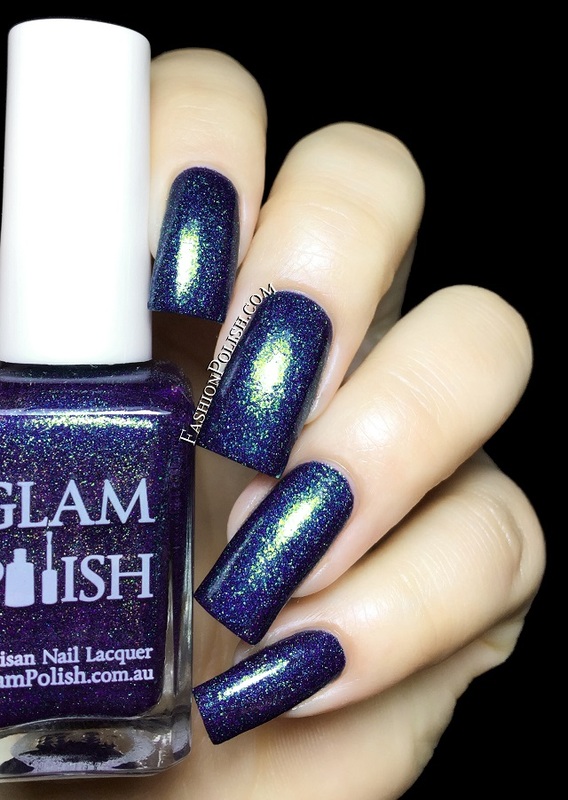 Don't Rain on my Parade is a navy blue holo packed with coarse green shimmers. 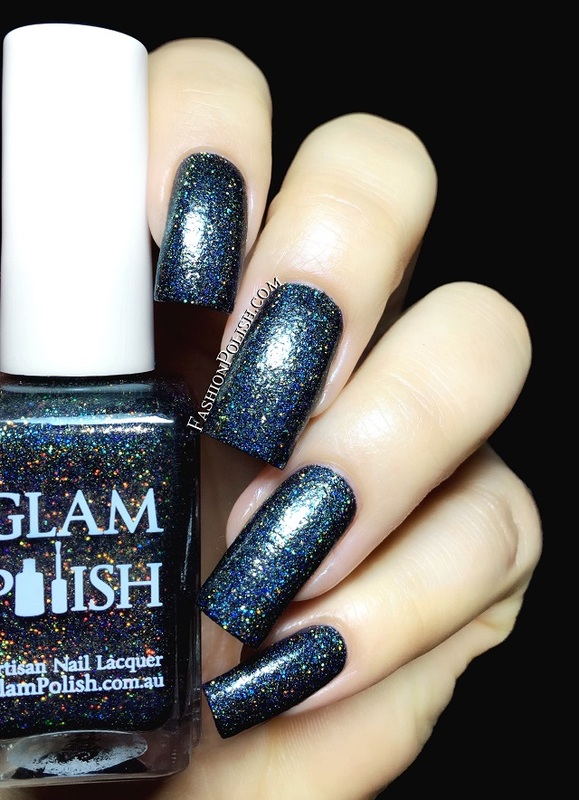 Don't Stop Believin' is a black holo with gold shimmers and gols holographic micro glitters. 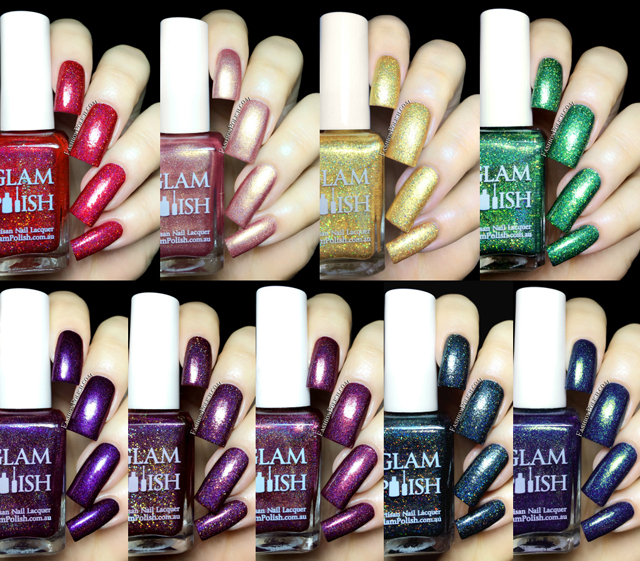 The Glam Polish Broadway Collection will be available for purchase tomorrow November 7th from glampolish.com.au with shipping to Australia & USA shipping rates to USA are $7.95 for the first polish and an extra $1.00 for each additional polish. So what do you think about these? 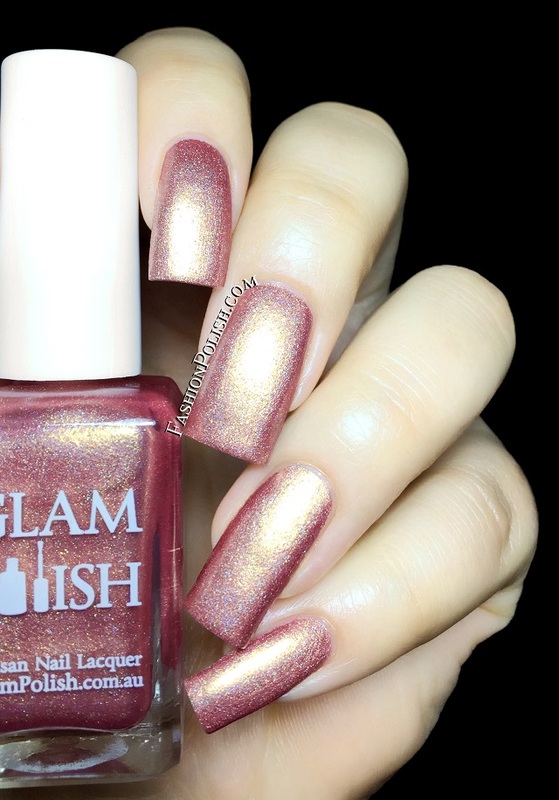 Have you ever tried Glam Polish? My top picks : Defying Gravity, Dreamgirls, Don't Stop Believin' and You Can't Stop the Beat. 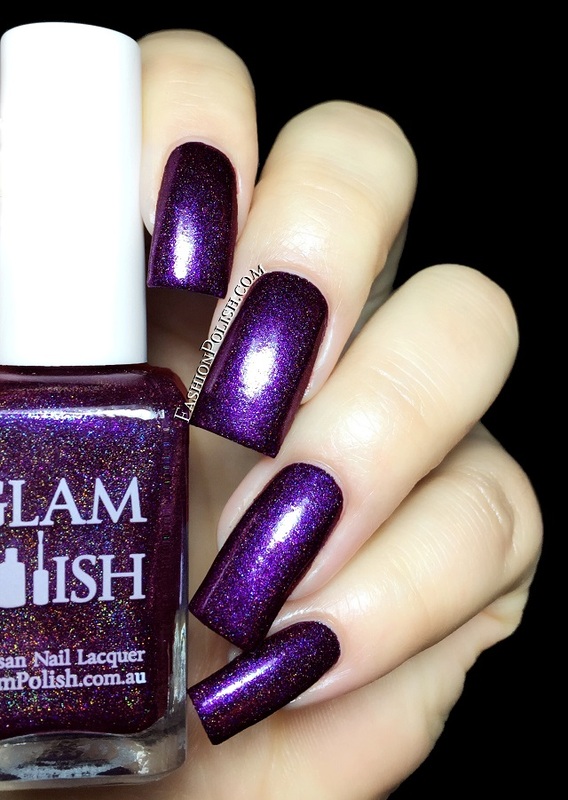 If you've tried Glam Polish before then you must know how much depth and sparkle they have. I can't wait to hear about your favorites!